First-time Homebuyers: Educating first time home buyers and helping them understand the home buying process is one of my specialties. 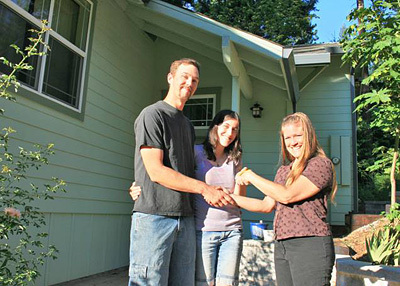 Home Loans: Provide financing options for home purchases, refinances, home improvement projects, cash-out. Includes primary, second home and investment properties. FHA - low money down, government backed loan, can be assumed. USDA - special rural area loan allows for up to 100% financing. VA - service personnel eligible for up to 100% financing. Home equity lines and loans, cash-out, rate/term reductions, Homepath, HARP, manufactured home loans, private money loans. Mobile: I meet with clients when and where is convenient for them. Consultation: Help provide answers to many mortgage concerns and/or questions.